I am so happy that French A L.A Carte USA was named one of The Best French Blogs for Francophiles from thousands of top French blogs on the planet in Feedspot index using search and social metrics. Thank you Feedspot for including my blog on your list in good company! These blogs are ranked based on following criteria: Google reputation and Google search ranking Influence and popularity on Facebook, twitter and other * * social media sites Quality and consistency of posts. 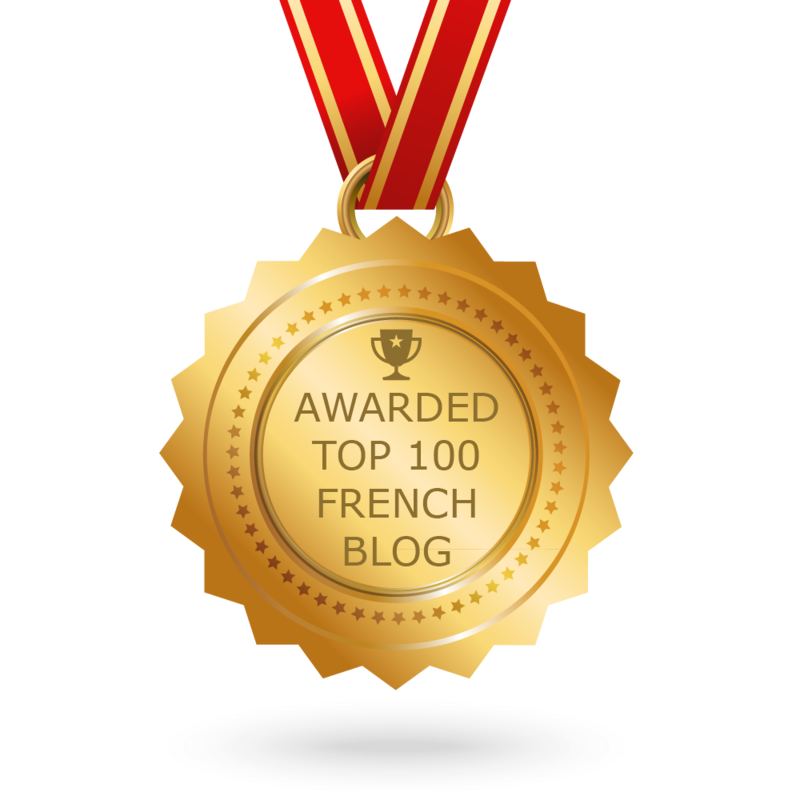 Feedspot’s editorial team and expert review Top 100 French Blogs Winners CONGRATULATIONS to every blogger that has made this … Continue reading French A L.A Carte USA Top 100 French Blog Winner! Ladurée Macarons is open in L.A ! Just in time for the holidays Ladurée opened its sweet macarons shop at The Grove this week! Later this month, another location will open on Beverly Drive in Beverly Hills. As with its other locations, Ladurée will offer an exclusive macaron flavor for Los Angeles: passionfruit! Continue reading Ladurée Macarons is open in L.A ! Crêpes Sans Frontières is a very special and unique crêperie in Los Angeles located in the Historic Downtown Spring Arcade Building. They specialize in 100% Organic Buckwheat crêpes (galettes) where a French culinary creation becomes a crêpe you will never forget! From savory to sweet combinations … the culinary creativity and possibilities are truly endless. Galettes are healthy gluten-free organic buckwheat that is really not wheat… It is a fruit seed related to rhubarb. It is very healthy and gluten free. It is low in calories and known to promote a healthy cardiovascular system. The galettes are one or the oldest traditions of … Continue reading Crêpes Sans Frontières! Gourmet French Foods in LA! Gourmet French Foods in LA! AAA Food Source! Established in 1990 Located in the Valley, 20 minutes from Los Angeles, AAA Food Source, Inc. sells to restaurants, hotels and retail shops and their well-stocked warehouse is open to the public! Come and discover their great selection of European products: “Mustards, Olive oils, Foie Gras, Charcuterie (saucisson sec, rosette de Lyon, coppa, Perigord duck rillettes, pates, jambon de Paris, jambon Serrano), Merguez, Saucisse, Duck Magret, Salmon, Caviar, Cookies (Choco BN, Palmito, Pepito, Savane, Mikado) cakes, Chocolate (Rocher Suchard, Banania, Nutella), Beverages, and much more!” Visit the AAA FOOD SOURCE website and … Continue reading Gourmet French Foods in LA! French Invasion @ Fabien Castanier Gallery this weekend! NEW WORK BY: JONONE, NASTY, RERO, SPEEDY GRAPHITO & TILTOPENING RECEPTION MAY 12, 7-10 PM LA CANVAS PRE-EXHIBITION PARTY WITH LIVE PAINT PERFORMANCE MAY 12, 4-7 PM *featuring limited edition FRENCH INVASION print sale to benefit Inner-City ArtsFabien Castanier Gallery is proud to present the first exhibition in Los Angeles dedicated to the work of France’s leading street artists today. FRENCH INVASION features brand new work by: JonOne, Nasty, Rero, Speedy Graphito and Tilt. The exhibition will present an extensive range of work by these artists including paintings, installations, silkscreens and sculpture. Speedy Graphito, JonOne and Tilt will be … Continue reading French Invasion @ Fabien Castanier Gallery this weekend!